This will start with the mid-size eVito in the second half of 2018. The eVito will be followed in 2019 by the eSprinter, and further models will follow. The leading van manufacturer presented its holistic electric drive strategy at the recent [email protected] workshop in Berlin. The focus was not just on the electric van itself, but also on a technological ecosystem tailored specifically to customers’ business needs. A holistic strategy based on five cornerstones delivers an innovative total-system solution covering the entire value chain of commercial usage. The new eVito is the first production vehicle to have been developed using this strategic approach. 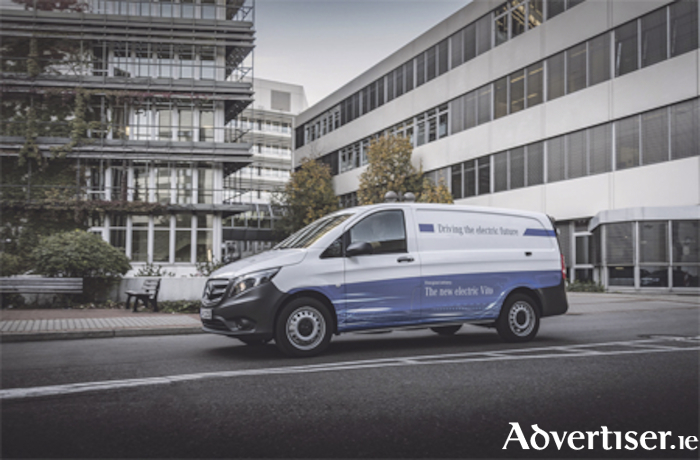 “We are convinced by the necessity of electric drive in our vans, especially in city centre applications,” says Volker Mornhinweg, head of Mercedes-Benz Vans. “That said, electrification of the commercial fleet is not an end in itself, but follows the same principles as a classic drive when it comes to commercial feasibility. With an installed battery capacity of 41.4kWh, the range of the new eVito will be around 150 kilometres. Even in unfavourable conditions such as low outside temperatures and with a full load, it will have a range of 100km. The mid-size van is thus perfectly configured for city-centre use by delivery companies, tradespeople and public transport providers. The battery can be fully charged in around six hours, while an output of 84kW and up to 300 newton metres of torque deliver dynamic performance. The electric model demonstrates its suitability for everyday use not least with a generous load space. It can accommodate a maximum payload of 1,073kg and a maximum load volume of 6.6m3. Installation of the battery beneath the vehicle contributes to the unrestricted usability of the entire load space. The maximum gross vehicle weight stands at 3,200kg.